Summary: The Asus GL552VW performs well, runs cool and quiet in pretty much every situation, and the IPS screen is a pleasure to look at. On the other hand, the build-quality is only average, and the keyboard and trackpad could use a breath of fresh air. 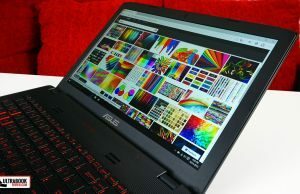 Asus compensates that with some solid prices, that's why the GL552VW is one of the most popular 15-inch multimedia notebooks available these days. 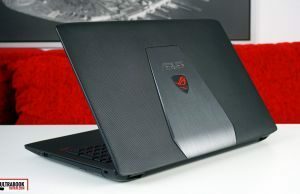 If you have a little over $1000 and want to buy a full-size all-round laptop, a machine that can handle everyday multitasking, multimedia content and gaming at ease, the Asus ROG GL552VW is one of the options to consider. 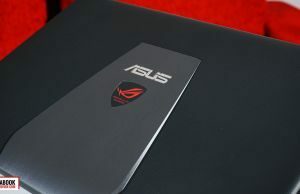 Asus have a long history in this segment with their N-series and later on the G-series notebooks. 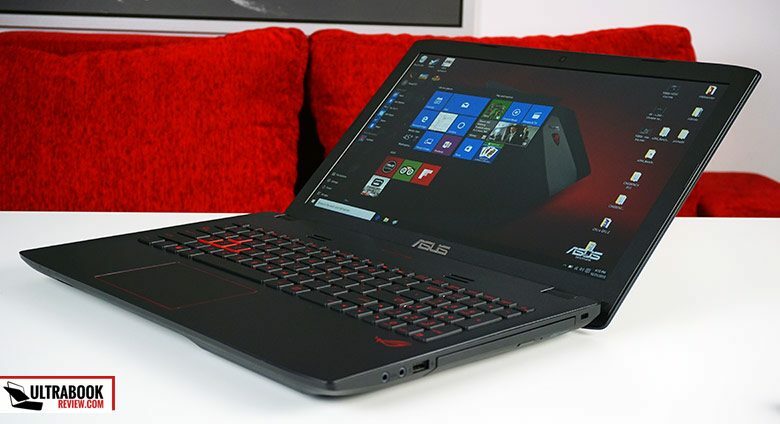 The GL552VW is one of their latest launches at the time of this article, bundling a matte IPS display, a Skylake quad-core processor, dual-storage options and Nvidia GTX 960M graphics. So at least on paper, it looks like a great buy, but in keep in mind this is a rather chunky and heavy machine, thus not an ultraportable. 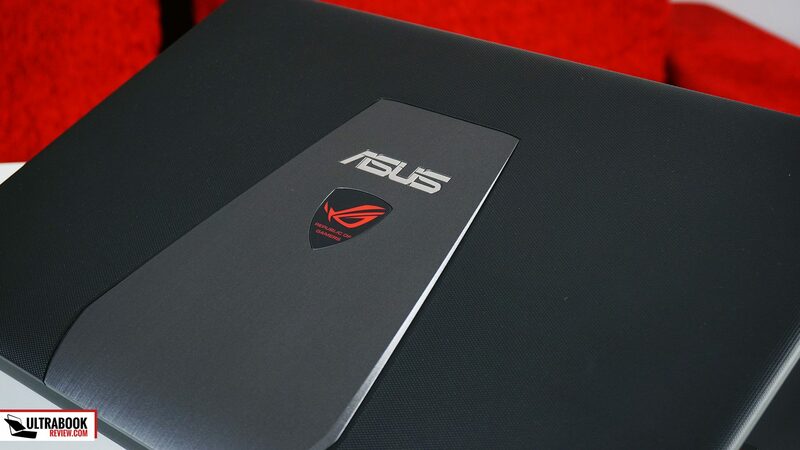 Asus sent in a pre-production sample for us to have a look at, and after spending many hours with it in the last week, I’m left with mixed feelings. You’ll see exactly why in the following paragraphs. Or if you want the quicker version, from the included video review. The GL552 is available with either a plastic or a metallic hood. Get the latter! Before we start our analysis though, you must know that Asus offers the GL552VW in two versions, one with a plastic lid-cover, the one we tested here, and another with an aluminum hood. That’s important, because the entire screen ensemble is flexible and weak on this plastic version, so make sure you get a version with the metallic lid, which is sturdier and better built. 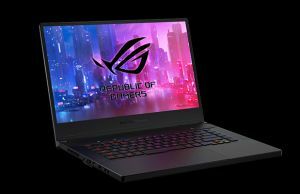 Update: Follow this link for updated info on the available configurations and the latest prices of the Asus ROG GL552VW at the time you’re reading this post. Update2: The metallic version of the Asus GL552VW is actually a big step up in terms of build quality over the plastic covered variants, and most configurations actually come with the metallic lid these days. That’s why I’ve updated the review’s score from 3.5 to 4/5 and I do think now this laptop can be a good buy, for the right price. First of all, you should know the GL552 is not a very portable or thin 15-incher, as it weighs about 2.57 kilos, or 5.7 pounds, and is about 34 mm thick, but at least it’s fairly compact and especially shorter than most other notebooks in its class, as you can tell from the narrow bezel around the screen. 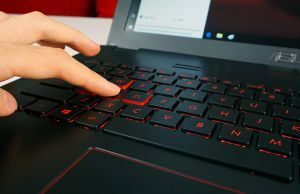 The main competitors are a bit lighter (within 0.5 lbs) and some of them way thinner, and the list of competitors includes devices like the Lenovo Y50, the MSI GE62 Apache or the Acer Aspire V15 Nitro Black-Edition, with similar specs and price tags. 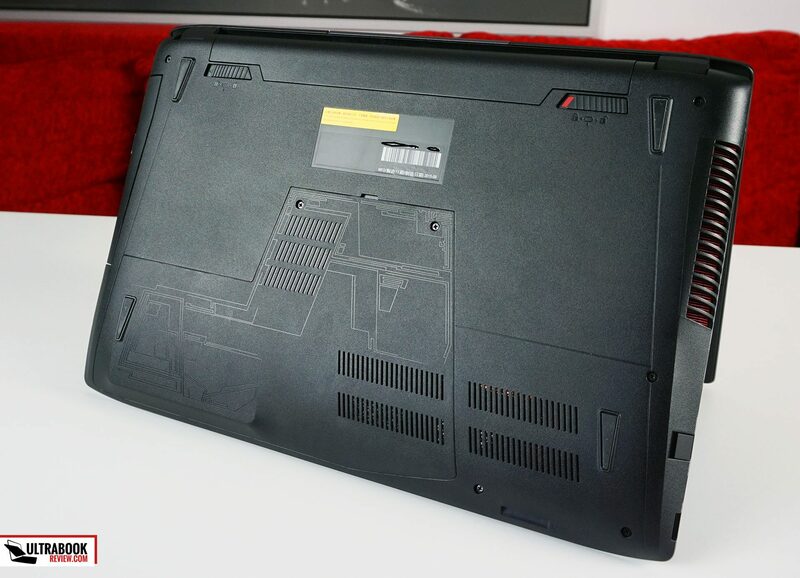 Plastic is used for the entire case of our ROG G552VW test unit, with a textured finishing for the lid-cover and a smooth one for the interior. The dimpled outer shell feels rather cheap and that silver shield on the hood is also made from plastic. The soft interior shows smudges and prints extremely easily, especially on the palm-rest are the area around the trackpad. On the other hand, I like how the interior actually looks and feels, with the dark background, the few red accents and the graphic design of the area on top of the keyboard. 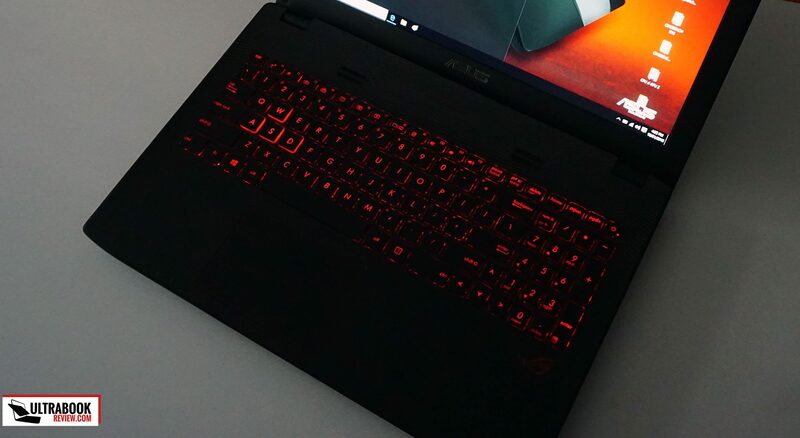 I also appreciate the subtle ROG logo on the hood, which is backlit, but glows mildly and is not as obvious as on other computers. The more premium version gets a sheet of brushed aluminum on the hood, with a narrow plastic strip for the antennas, but its shape and interior design is identical to the version tested here. The laptop’s build quality is decent, with the exception of the screen ensemble. The lid is weak and flexible, as you can see in the video, so don’t put anything heavy on this computer and be extra careful when you carry it around in your backpack. The screen’s hinges are weak as well, so fragile that the display actually wobbles when typing. So if you end up getting one of these computers, make sure you treat it nicely and take special care on how you lift up the screen: always grab it from the middle, never from the corners. The interior is better crafted, doesn’t squeak or flex much in daily use, but there’s still a slight amount of warping in the keyboard frame, which has an impact on the typing experience. 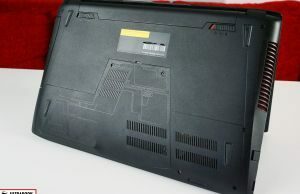 Now, once we look past the craftsmanship quality and choice in materials, the GL552VW is actually a fairly good laptop. The interior is roomy and houses a full-size chiclet keyboard, the IO on the sides includes 4 USB slots, one of them being an USB TypeC connector, plus full-size HDMI video output, a card-reader, an optical drive and a LAN port, while the matte screen is a pleasure to look at. Still, I can’t stop thinking that this GL552VW is actually a step backwards from the GL551 and the N551 models in terms of build quality and how the laptop feels in daily use. And that for me is hard to understand, or accept. I mean, how on earth can you take a rather chunky, yet strong body, and turn it into a still chunky, yet weak one? 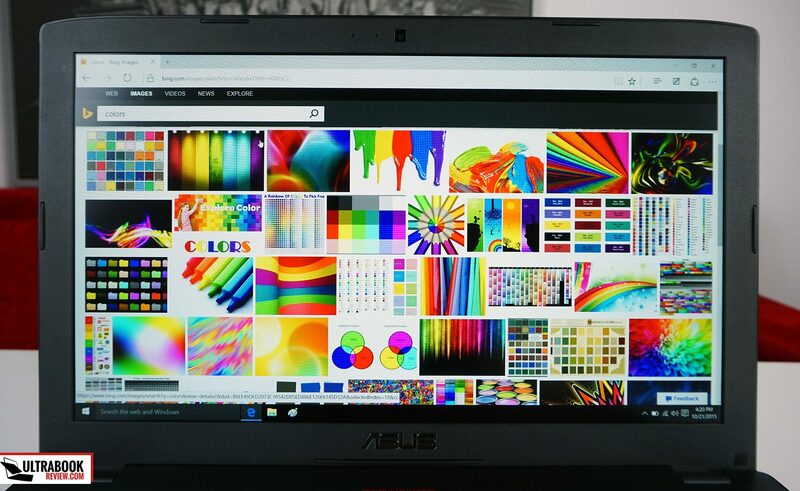 Asus chose a FullHD IPS panel with a matte finishing for this laptop and I can hardly say anything bad about it. 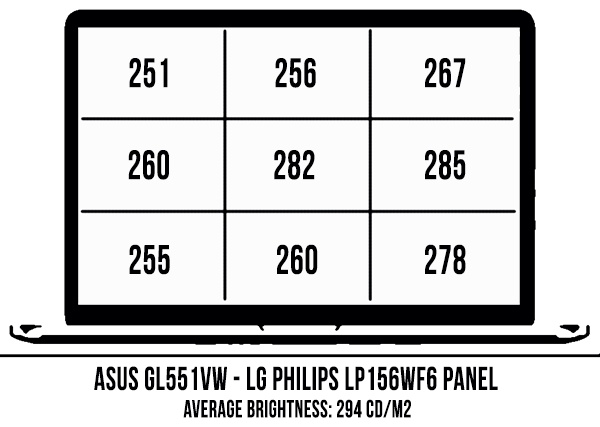 They replaced the Samsung panel used on the G551 with an better LG Philips one, and the numbers below talk for themselves. I’m using a Spyder4 sensor for my measurements and the Spyder4 Elite software package. 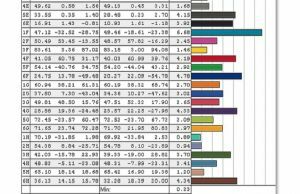 Average DeltaE: 2.65 uncalibrated, 1.07 calibrated . With a nearly 300-nits brightness and 750:1 contrast ratio, good color coverage and large viewing angles, I’m pretty sure this display going to satisfy most users. You might want to calibrate the screen if you want to use the computer for color-accurate work, as out of the box it has a cold tint. 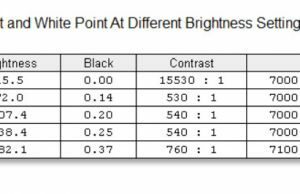 There is one aspect to keep in mind here, and that’s potential light bleeding. Our test unit came with serious light-bleeding in the upper right corner, and I blame this once again on the poor craftsmanship, as the plastic bezel puts pressure on the panel in that certain point, which causes the bleeding. So make sure you check your unit for any problems when you get it out of the box and send it back if it doesn’t meet your standards. Slight bleeding is acceptable on matte panels, but this kind of bleeding is only visible at high brightness on a dark background, and shouldn’t be visible in everyday use. 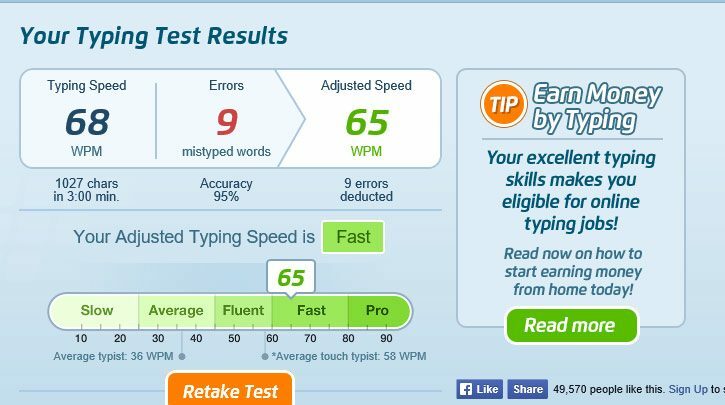 Back to that keyboard, well, it’s alright, but someone who types thousands of words per day will probably want to look elsewhere. First of all, it inherits the same layout we’ve seen on Asus’s mainstream 15-inchers for a while, which unfortunately includes a cramped right side, with narrower directional keys and NumPad section. There’s also that Power key in the top-right corner, but I’m not even going to complain about it, since you’ll get used to it after a while. The keyboard types alright, and I didn’t need much time to get used to it, as it has a short stroke just like most of the ultraportables available these days. 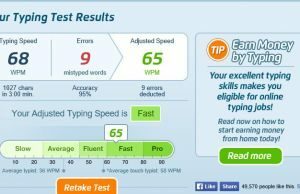 However, the keys feel a bit mushy and lack a precise click, which leads to occasional missed strokes if you don’t hit each key vigorously and preferably in its middle, not on the sides. Last but not least, I’m definitely not a fan of the Black and Red color scheme, which makes the keys undistinguishable in dim rooms, but at least the keyboard is backlit and as long as you keep the illumination active and set on the top intensity, the keys should be visible enough. As for the trackpad, well, it’s smooth and mostly accurate, but it’s not consistent when it comes to gentle and precise swipes and there’s no way to adjust the sensitivity or the cursor’s speed. It handles taps and gestures well most of the time, but even in their case I did ran into some occasional stuttering when scrolling in Edge or occasional missed taps, especially those gentle ones, so the experience leaves something to be desired. But how about performance, as people are going to buy this computer primarily for what it’s capable of? Asus put a Skylake Core i7-6700HQ processor inside our test unit, paired with 16 GB of DDR4 RAM, Nvidia GTX 960M graphics and hybrid storage, with a M.2 SATA SSD and a 2.5” HDD. 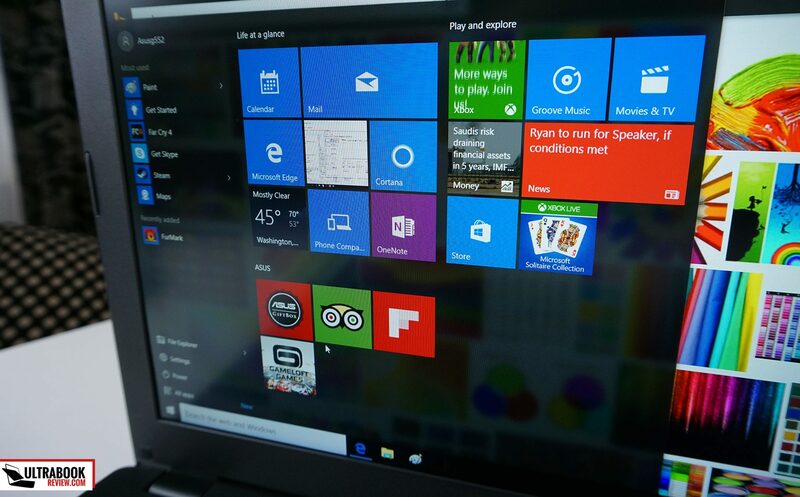 The computer runs Windows 10 and the preinstalled software package is frugal, with an Office and McAfee Trial, Dropbox and only a few other programs. 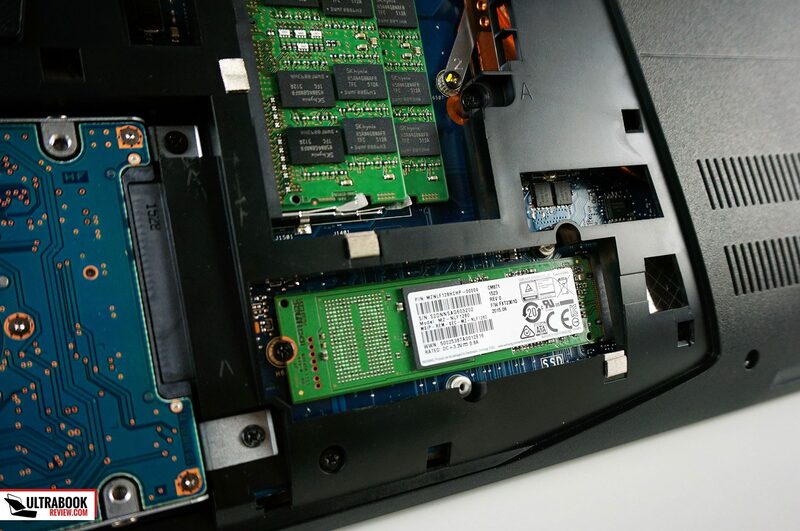 There are two memory DIMMs, both accessible through the service trail on the laptop’s back, hold in place by just two Philips screws. You’ll also find the M.2 slot and the HDD bay in here. 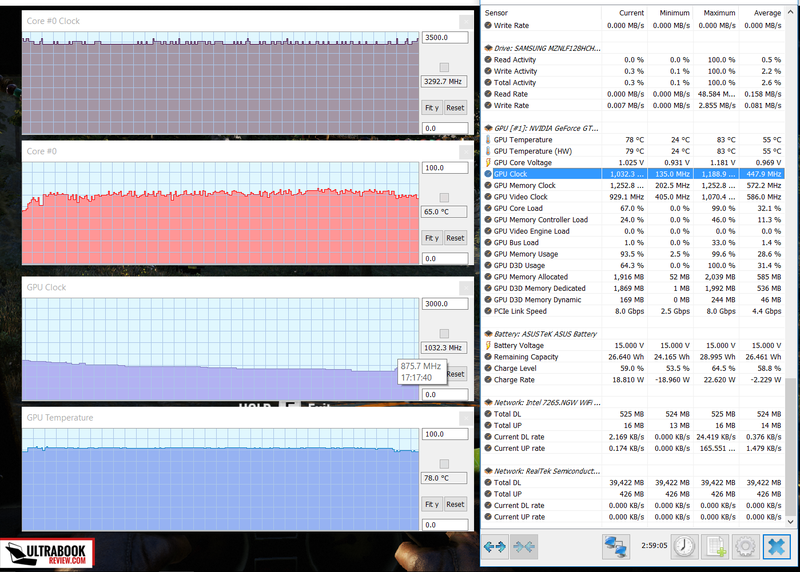 With such a powerful configuration, the laptop feels very snappy in daily use. It easily handles browsing and multimedia content, including 4K or HEVC clips. It can cope well with more demanding software too, like Photoshop or Premiere, and that Nvidia 960M graphics chip can tackle some games, as long as you don’t expect to run the most recent titles with maximum details. 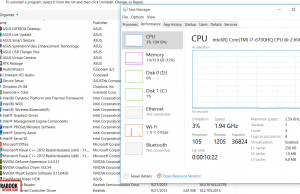 Now, the Core i7-6700HQ processor is not that much faster than the Core i7-4710HQ used on the previous generation G551, as you can tell from this article, but it does provide a slight performance boost, runs more efficient and cooler. 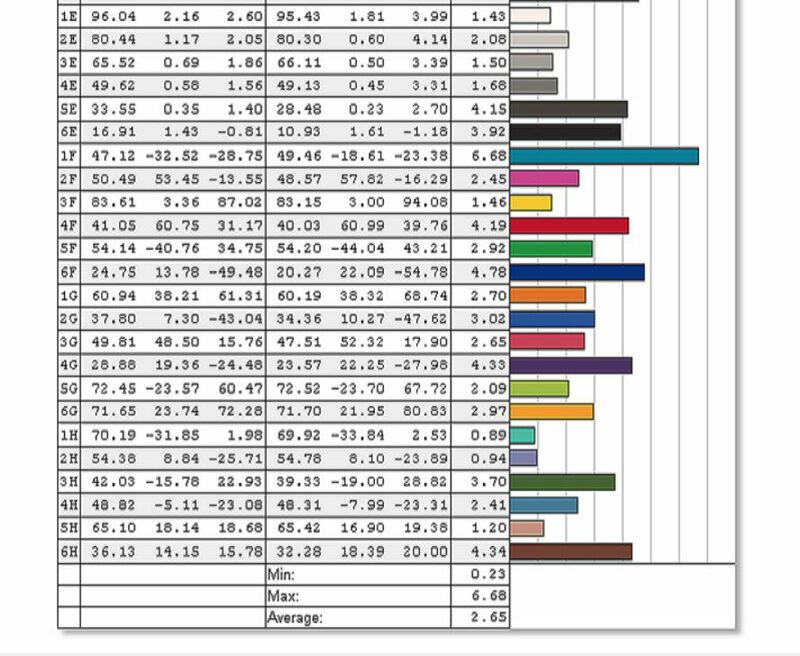 I’ve added a few benchmarks results below, and I’ve also compared them to those recorded on the Asus G551 tested a while ago, with a very similar configuration (Core i7-4710HQ processor, 16 GB of RAM, dual-storage and Nvidia GTX 860M graphics). The Cinebench GPU benchmarks are skewed, but all the others show a 5-10% boost for the GL552VW, so not a major increase. 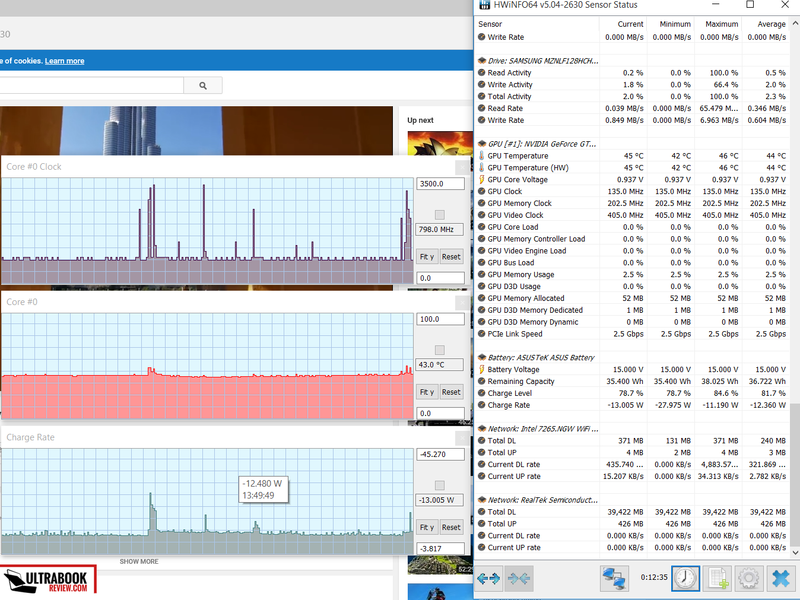 However, compared to the GL551JM, the newer laptop does run cooler, as you can see in the pictures below. I’ve also taken the GL552 through our stress tests. 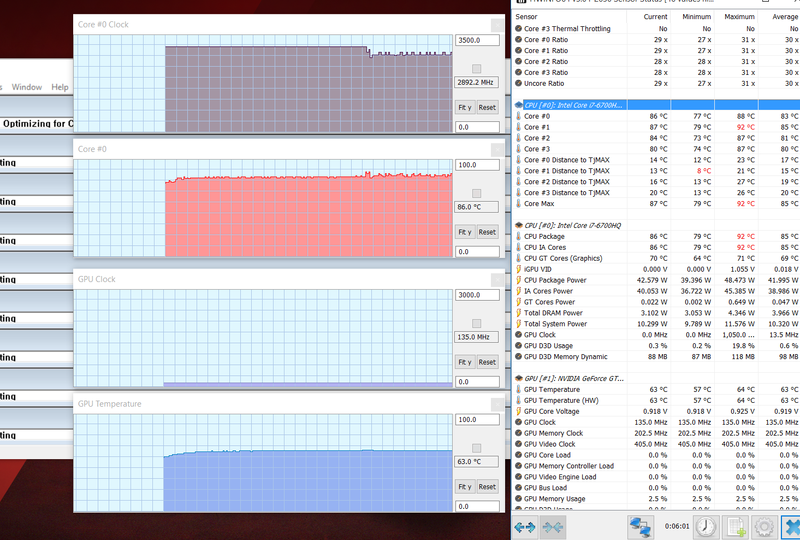 For the first part, I pushed the CPU to its limits with Prime95. 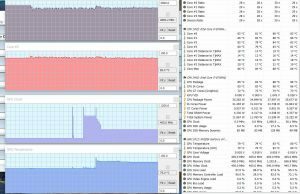 For the first 3-4 minutes the processor ran at its maximum 4-Core TurboBoost speed of 3.1 GHz, but once the Cores went past 90 degress Celsius, it started to trickle down a bit, jumping from 2.8 to 3.1 GHz. 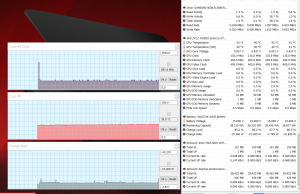 That’s still over the default frequency, so no throttling here. 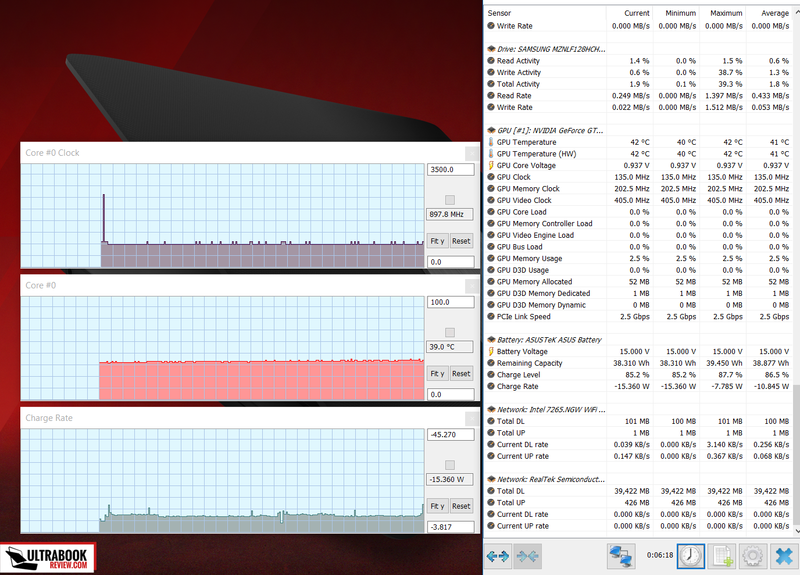 Then I pushed both the CPU and the GPU with Prime95 and Furmark and in this case you will notice that while the processor keeps running between 2.8 Ghz and 3.1 GHz, the graphic’s Core frequency quickly drops and stabilizes at 405 MHz. I’d reckon this is a safety measure implemented by Asus here in other to prevent overheating and potential damage and is a limitation imposed by the single-fan cooling solution with linked heat-pipes. 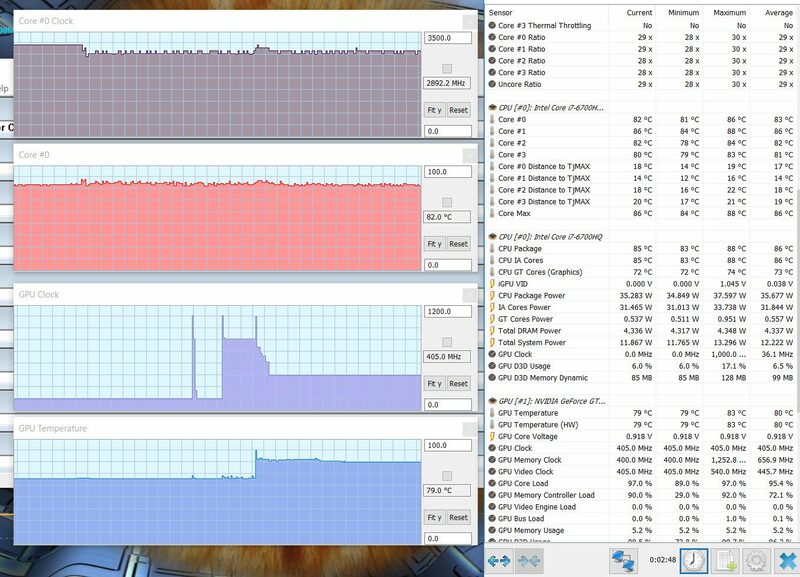 However, there’s no trace of throttling or performance loss in everyday use, when rendering videos in Premiere or when playing games for hours, including demanding titles like FarCray 4 or Middle Earth: Shadow of Mordor. And this is what actually matters. Keep in mind the Nvidia 960M chip is a mid-level solution, so don’t expect to run smoothly the latest games with maximum settings, but as long as you trim them down to High or even Medium, you should be able to enjoy most titles. The 1920 x 1080 px native resolution is perfectly suited for the chosen graphics chip and personally I wouldn’t get a 4K panel on such a configuration if I was planning on running a lot of games on it. To wrap this section up, performance wise the GL552VW performs impeccably. It’s also easy to upgrade, which is a welcomed bonus and would allow you to get a lower end configuration and then upgrade the RAM and storage when you get extra funds. 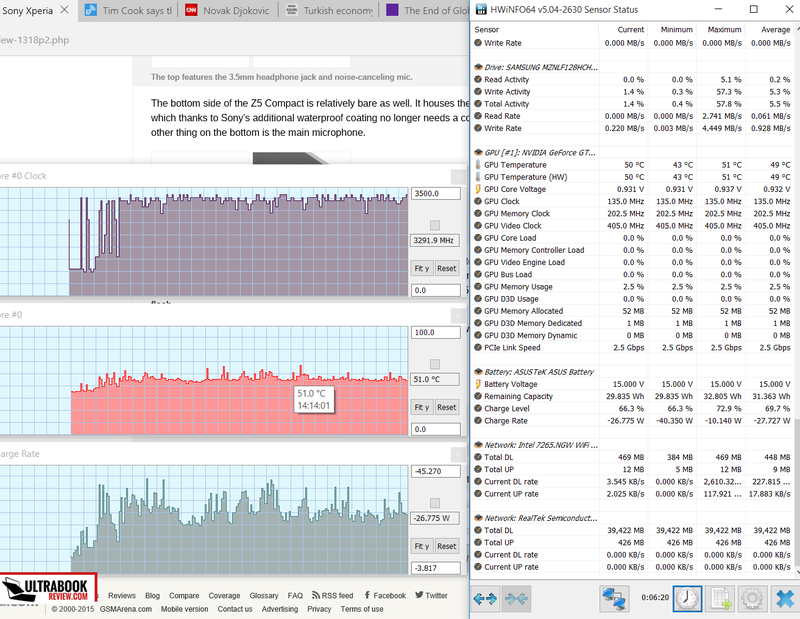 Now, performance on a modern laptop needs to be properly inter-weaved with thermals and acoustics, and the GL552 scores high in these sections as well. The hardware is cooled by a single fan, as I mentioned before, which spins quietly in everyday use and only ramps up at high loads. 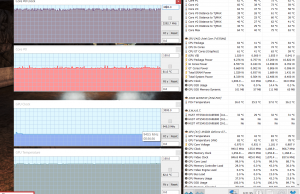 Despite that, both the inner components and the outer case remain cool, with very few areas going past 40 degrees mark, even when running games for a long time, as you can see in the pictures below. The are on top of the keyboard gets hotter than any others, even than the underbelly. In other words, you shouldn’t have any problems using this computer on your lap or even when you cover the air intake grills on the bottom (although that’s definitely not recommended), as long as you don’t perform very demanding tasks. 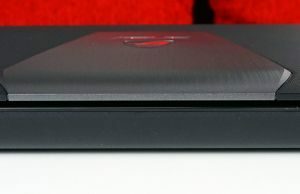 Asus did a great job with the connectivity options on this device, adding a fast wireless chip and a Gigabit LAN solution. I’ve used the GL552VW mostly on wireless and it was able to max-out my connection easily, both when right near the router, but also at 30 feet with 2 walls in between. That means the antennas are really capable on this machine and will allow it to perform well even in those areas with dodgy Wi-Fi signal. I should also tell you a few things about the speakers, but I actually can’t, as they weren’t working properly on this test unit. Should be decent, since they are placed on top of the keyboard and push the sound towards the user’s ears, although some reviewers complained about the audio quality on the GL552JX model, which probably bundles the exact same speakers. So that’s something to keep in mind. One final aspect to mention here is the fairly good webcam placed on top of the screen, backed up by an array of dual microphones. It will handle videocalls well and you could even used it for your streams if you want to, but it’s still and embedded webcam, so don’t expect anything spectacular. There’s only a 48 Wh battery on the Asus GL552VW, which is rather small. However, I’d reckon many of you will be happy to know the battery is actually easily removable, as it’s not encased within the frame. In other words, Asus sacrificed capacity in order to get you a removable battery. Personally, I would have preferred a larger and encased battery, cause in the end the battery life ends up suffering with this approach, as the laptop can only go for a maximum of 5 hours of light use on a single charge, with the screen brightness set at around 120 nits (40%). More details below. 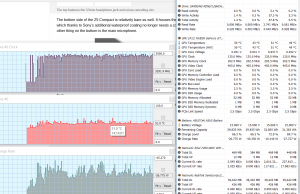 27 W (~1 h 50 min of use) – heavy browsing in Edge, Balanced Mode, screen at 40%, Wi-Fi ON. Asus bundles the GL552 with a 120W power brick and a full-recharge takes around 2 hours and 30 minutes if you use the computer while it charges, and a little over two hours if not. 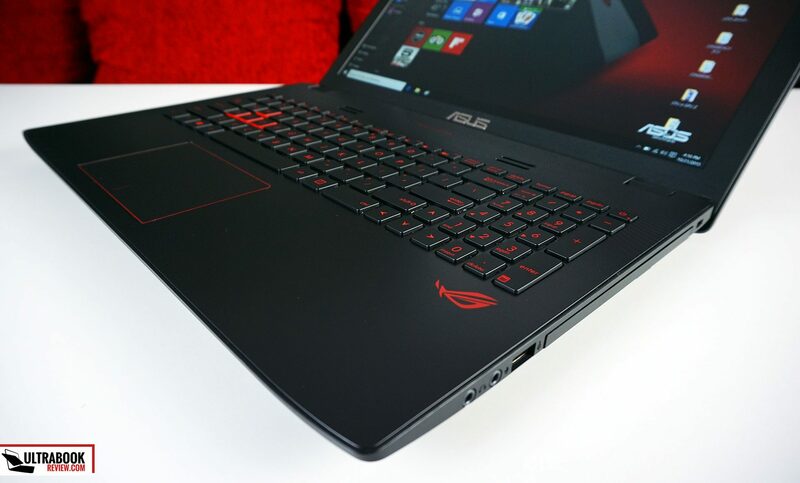 The base version of the Asus ROG GL552VW is available in stores for around $999 (or around 950 EUR in Europe) and that kind of money will buy you the version with the metallic lid cover and a Core i7-6700HQ configuration with 16 GB of RAM, a 1 TB HDD and Nvidia 960M 2GB graphics. There’s no SSD included, but that’s actually a good thing if you ask me, as it allows you to buy your own M.2 SSD cheaper or a better one then the Samsung MZNLF128HCHP chip sold by Asus. And then you just have to place it inside and reinstall Windows, which should be a walk in the park. Higher end versions with included SSD storage and Nvidia GTX960M 4GB graphics are also available. You can find more about them and their up-to-date prices at the time you’re reading this post by following this link. 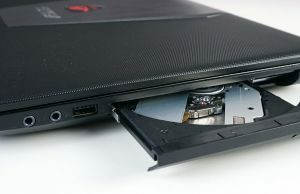 As we draw the line on the Asus ROG GL552VW, I can’t really recommend the unit tested here, with the plastic lid cover. 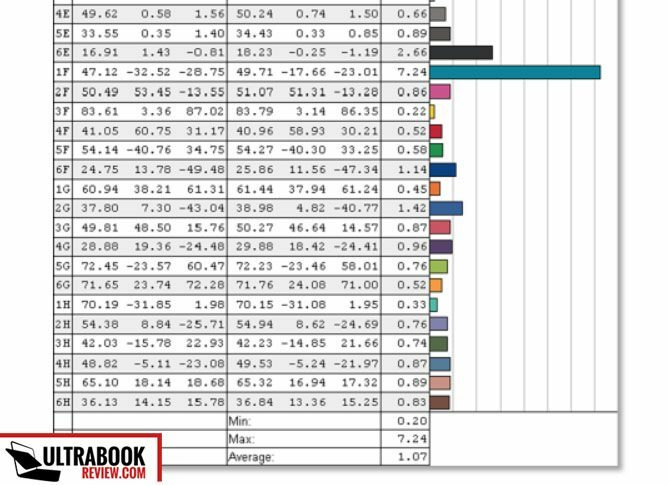 And that might sound harsh, but shows how one bad design decision can ruin an otherwise good laptop. Our test unit performed smoothly, ran cool and quiet, and packed a great screen. The battery life is average, while both the keyboard and the trackpad leave something to be desired. But the weak lid is the major deal-breaker. You might think I’m getting carried away here, but from my experience, those who buy this kind of computers expect to keep them for a long time. And they expect them to work flawlessly during this period, which can’t be the case if the screen breaks, can it? The the end of the day, the GL552VW could have been a great buy, if not for the poor build quality and choice in materials. In conclusion, stay away from the plastic version tested in this post. The metallic variant on the other hand is much stronger buitl, from the reviews and reports I’ve seen online, so that one gets a rating of 4/5 in our review. It’s not the absolute best pick out there, but for the right price, it can be the one to get. With that in mind, it’s time to wrap this up. Let me know if you have anything to add to this post or get in touch in the comments if you have any questions, I’m around and will help out if I can. The specs sheet seems wrong. The display is listed as 17″ and the model of that samsung ssd is 128GB not 512GB. 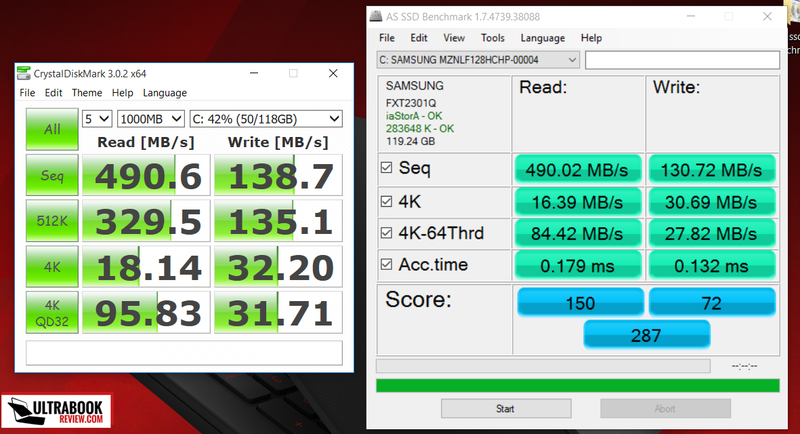 Anyway, I was wondering does the GL552VW support M.2 PCIe 4x NVMe SSDs – thinking about samsung 950 pro here. Hmmm, right. thanks for noticing that. While I can’t be 100% sure without trying, I’d say PCIe drives are not supported on the GL552, and that meant PCIe NVMe aren’t supported either. hi i purchased a 950 pro and the BIOS doesnt recognize it, i really wanna know why exactly the GL552 doesnt recognize the samsun 950 pro… i mean, the chipset is an INTEL HM170 wich supports it, i cant find info about the motherboard, but the M.2 port is M-keyed, soooo the onl thing that comes to my mind is that it would work with a BIOS update(wich is not available in the page, may be in the future)… sooooo well i wanna know if i can find some way to install it, or simply give up and give the 950 back and purchase a 850 evo… if you have an answer to that would be great(asus support is totally useless). I’ve read about issues with the 950 on various configurations and I can’t really give you any advice other than Google for “Samsung 950 not recognized” and try to find any solutions from other users. 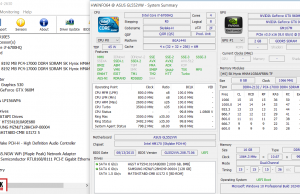 Tweaking some BIOS options could make it work. Besides that, you should find the Owner’s Thread topic on the forums at notebookreview.com and maybe other owners will be able to provide better replies to your question. Sry I can’t do more. You know, because it is not compatible with the Samsung 950 Pro because of NVMe standard not supported, can run 951 sm AHCI? I can’t tell for sure unfortunately, I haven’t tried it and my experience with these types of SSDs is rather limited. My advice, go here forum.notebookreview.com/threads/asus-gl552vw.784339/ and ask the other owners what they’re using on their devices. Is it possible to change out the 960 for a Gtx 970? I’m looking at the version with 1 terabyte ssd and 16 gig ram, but I do heavy 3D modeling (not gaming) and a better graphics card really improves performing. I’m not worried about any other specs as I’m really happy with everything this computer has specs wise, except for the fact you can’t choose your graphics from the factory. Do you think they’re gonna making a “no-gaming” version of this? Like the n551, Or they’re gonna just refresh the n551? Hmm, haven’t heard of a N552 yet, but will let you know if I do. Does it support the Power Delivery 2.0 standard? 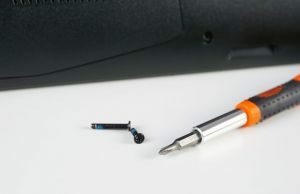 Can you power this laptop over the USB Type C connector? No, it can’t be powered via the USB 3.1 connector. If the aluminum version is better built, then yes, it would be a good buy. But I’d say away from the plastic model. Thanks for the review. Is there any news on when the metallic version will become available (in the UK) or when you might review it? This computer looks super great in terms of specs but I want a durable machine if I’m spending that much. I Think its time for you to review the version with alu hood and also test the speakers. Soundquality is important to me. Hi! Does this model is DH71 or DH74? because I read that DH71 version doesn´t have M.2 SSD slot. 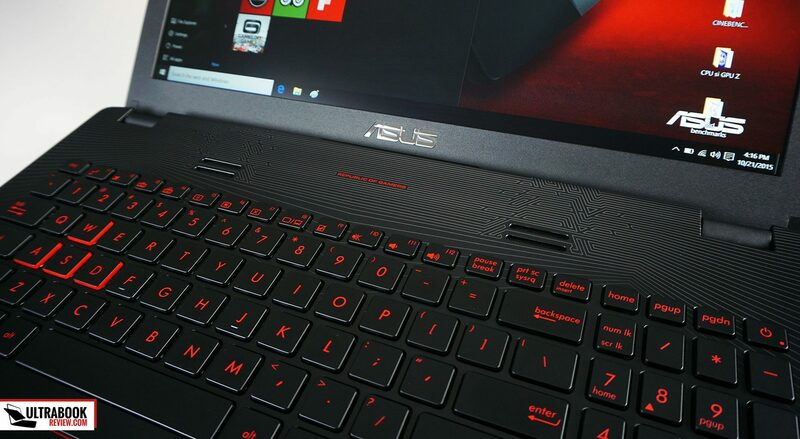 The -DH74 is a newer version “coming soon” according to asus.com of the notebook with more GPU memory (geforce 960m 4gb instead of this 960m 2gb) and a 128gb SDD + 1tb HDD. 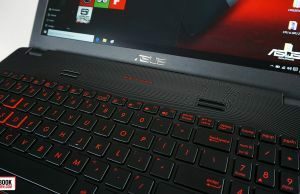 I was really hoping this to be a powerfull yet lightweighted new gaming laptop, but after reading your review and other reviews about the somewhat weak geforce 960m, I wont be buying this one. I can confirm you that there’s a M2 SSD slot in DH71. It just doesn’t come with any SSD. You have to buy it separately and install it by your own. Does it support 32gb of RAM ? 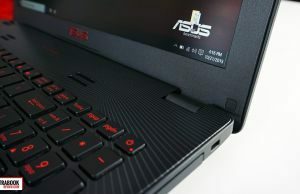 Also, can you express your opinion about ASUS G551VW? (Intel Core i7-6700HQ Skylake; 8 GB DDR4 2133Mhz, nVidia GeForce GTX960M 4 GB GDDR5). 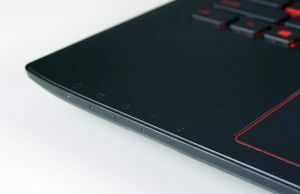 As I can see, it’s a combination between the aluminium design of ROG G551JM and the new hardware available on GL552VW. Any PROs and CONs? Thank you and keep up the good work! Multumesc! Hi, is it available in any stores? Should be good, the only concerns are screen quality (whether they chose the 4K screen or not), temperatures and noise. According to Asus product page (www.asus.com/ROG-Republic-Of-Gamers/G551VW/) it has a FHD IPS display. I will let you know about temperatures and noise after the purchase. I’ve mistaken it with something else. I’m familiar with the G551, I’ve even reviewed it a while ago. 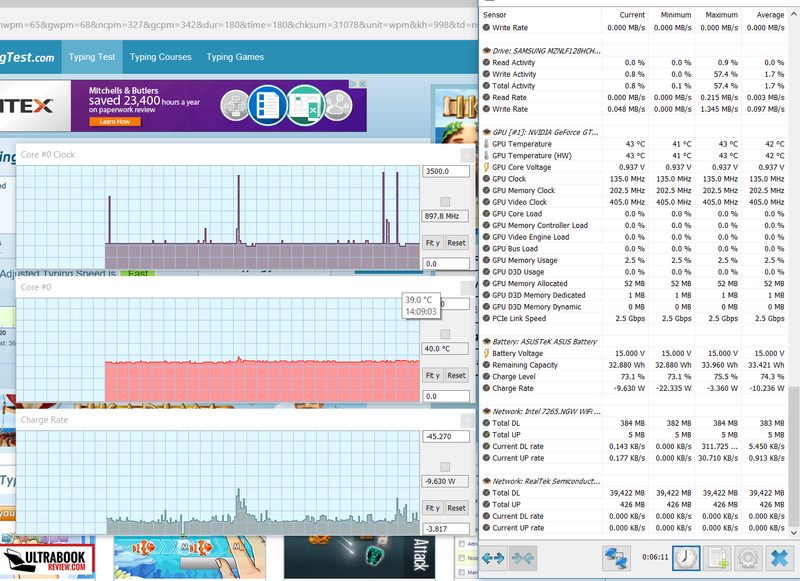 Check for throttling, my test samples had some issues under high load if I’m not mistaken. Andrel Giirbea thanks for prompt reply, but I am talking about GL551vw and one available on amazon right now is GL552vw (rog metallic), its lid is metallic but hands rest area is not also its doesn’t have red line labeling around hands rest area, so its different from GL551 model, these are two different model series GL551 and GL552, and VW are ones with skylake and Nvidia 960m. Can you get info about when GL551vw will be up for sale in US market? Hmm, sry for the confusion. I wasn’t aware they updated the GL551 series to Skylake. 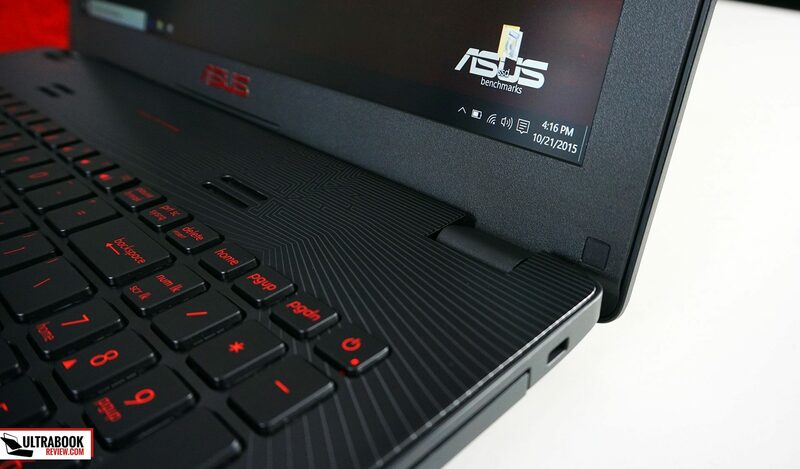 You should try to contact Asus North America on Facebook or Twitter and see if they can give you any details on that model getting to the US. It’s available on amazon.com right now, just search for Asus GL552VW. I’m not familiar with UK stores though. Hi! I have a doubt.. What’s the specific model number of the metallic version?? is it ROG GL552VW-DH71. ?? Can you tell me if it’s the metallic ? It only say in the color ‘ROG Metallic’ , but its the metallic coloc and maybe plastic made? Somewhere in your comments, you say it supports 32GB and on many website, it says it only support up to 16GB, and some others 32GB. Strange ! 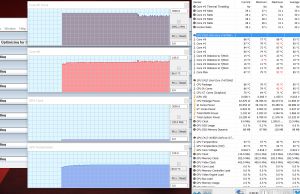 It supports 32 GB of RAM. There are two slots and each can take a 16 gig DDR4 DIMM. 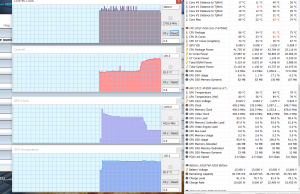 I’ve seen configurations with 32 GB preinstalled. I really wanted one of these. Fan noise is my number one priority in gaming laptops, and this seemed perfect. Unfortunately, I can confirm that the Australian models use TN panels which are absolutely shocking. Both Harvey Norman and JB Hifi sell the model, and it’s impossible to see anything except from direct on. 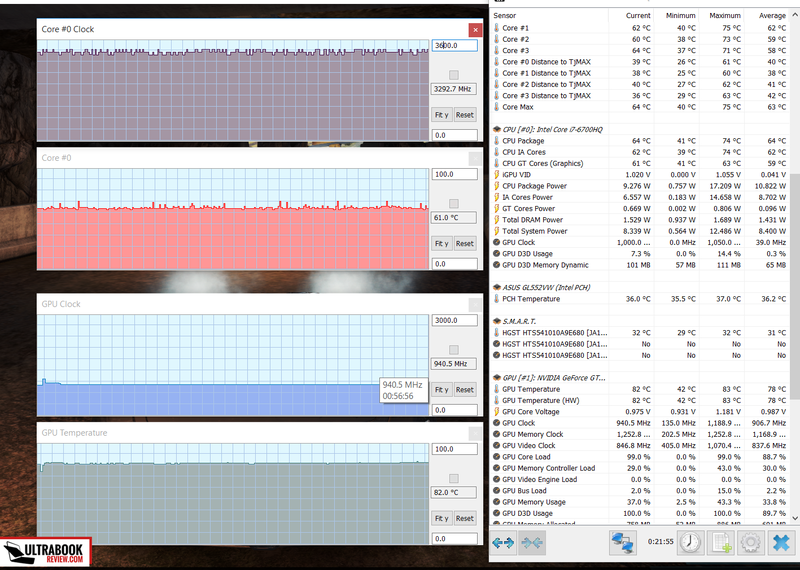 It was sitting next to the new Dell Inspiron 7559 and the difference was night and day. Complete shame. I ended up going with the Dell.. but would have paid significantly more for the Asus is the screen wasn’t such rubbish over here. 1. I searched around, and I think that the Silver-metal cover version is only available in US market only (GL552VW-DH71). So everywhere else, we need to be content with the plastic cover one. Anyway, from your video, it seems like the screen is pretty weak. When you tested it though, do you think that the screen is fragile enough to be carried around daily? 3. Personally, if you were to compare it to the MSI GE62-6QD (very similar specifications and price), which one would you recommend? I can’t find the the metallic one in my country, is the plastic one really that bad? Usage would be at gaming at home and in work in the office/desk. Maybe some car usage. 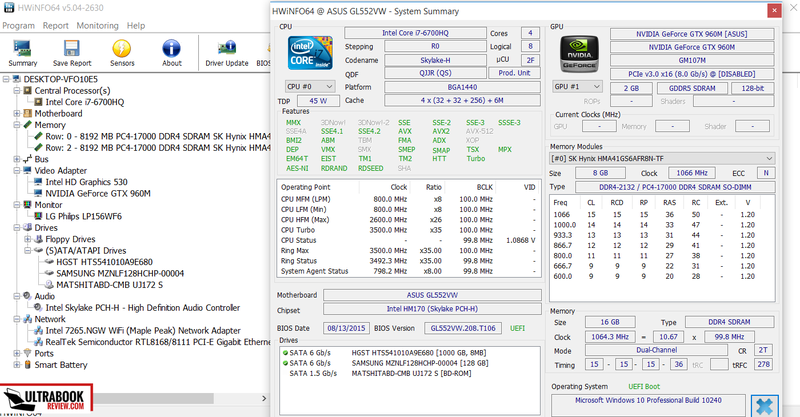 I have a problem with an additional SSD Samsung SM951 M.2 PCI-E and ASUS ROG G552VW, which I have bougth seperately. 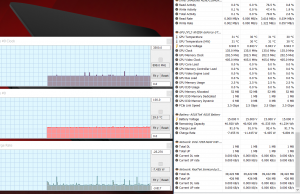 The problem is that BIOS cannot detect SSD disk. I tried to upgrade the BIOS, also removed storage HDD disk and tried to install via Intel drivers and nothing. I do not have clue, what could be wrong? Do you have any other ideas what could be wrong? I am interested in this model, I have the idea of adding an SSD 256 or 512 GB. You can add more than 128 ssd? Of course it does, why else would it have the slot? But only SATA, not NVMe. Cant seem to find any DH-71 version on stores here, only the CN320T. 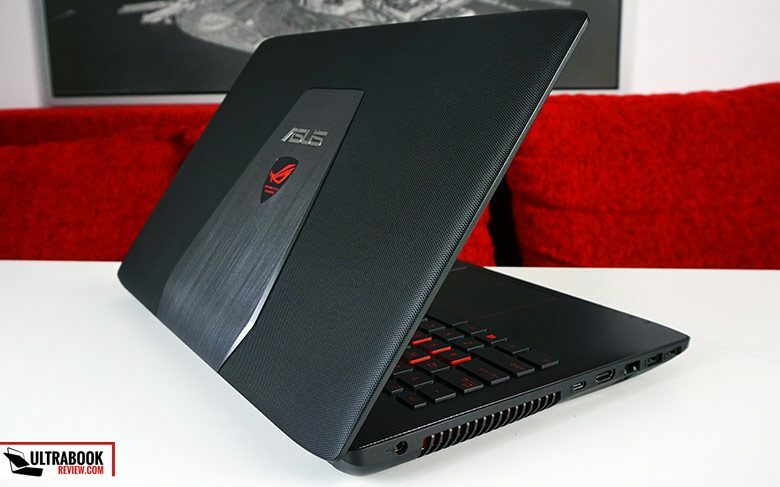 Would you recommend this for school work and World of Warcraft gaming or should I go with the ASUS Rog GL552JX? The GL552VW will cost about $1300 and the GL552JX will cost about $1000. In Denmark however 25% of the price is taxes and therefore really can’t be compared to American prices or so. Salut Andrei , am cumparat acest laptopt cu capac de aluminiu dar am intampinat o problema nu ma lasa sa instalez windows 10 bootat pe un dvd , aceeasi poveste si pe usb. Imi poti oferi niste sfaturi , am incercat sa instalez win 7 imi intra dupa ce se copiaza fisierele primesc eroare iar la win 10 imi scrie pc run into a problem pe un fond albastru( a nu se confunda cu blue screen ) Am nevoie de o anumita versiune de windows sau ce trebuie sa fac nu prea ma pricep la laptop=uri am citit ceva in legatura cu bootare uefi am incercat si asa si nici nu imi booteaza . 2. 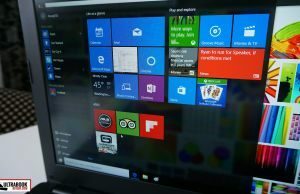 Folosesti o versiune originala de Windows, creata cu utilitarul de pe site-ul Microsoft? To connect external monitor to ASUS ROG GL552VW via usb 3.1 type-c port I can use simpale usb 3.1 to DVI adapter? it support Intel Thunderbolt 3? if not what are the options to connect to external monitors? 1.Video cardul are fuctia optimus? 3.Este prezent PWM cind dai luminozitatea mai incet? 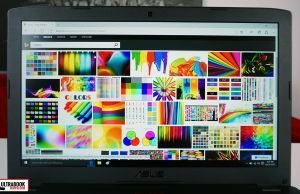 4.Parerea proprie: Asus gl552vw sau lenovo y700? Please let’s keep the conversation to English here. I haven’t tested the Lenovo, so can’t comment on it. Can we upgrade graphic card from gtx 960m to gtx 970m or 980 m??? 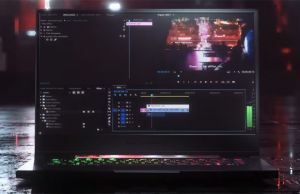 I wish to buy this laptop for photo/video editing, is the color accuracy is good enough for that? Is the metallic version truly made of metal or it’s just metal finish? It gets a sheet of metal on the hood, but it’s built on a plastic frame. Still, the version is much sturdier than the plastic variant I tested here. still worth to buy right ? 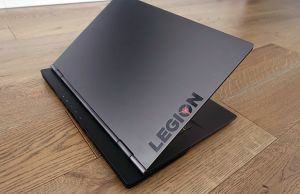 the metalic version are available in my region,and i’m looking to buy it, but i’m trying to compare this one with lenovo ideapad y700, which one is better from your opinion ? Can I replace the stock HDD with a SSD? 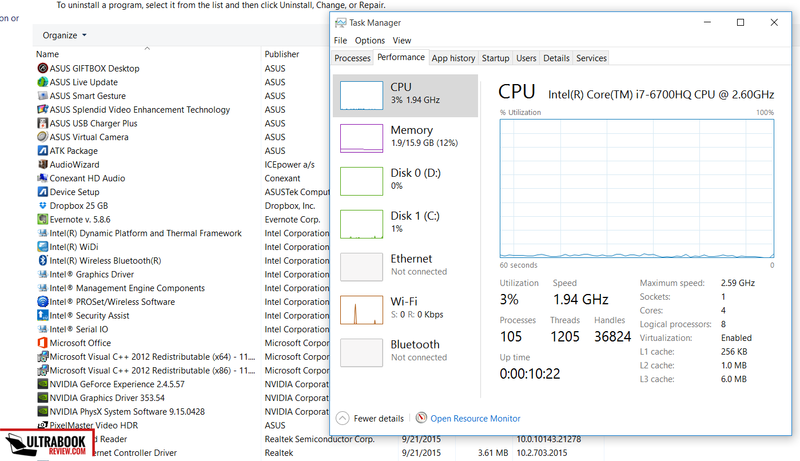 Does this support up to 32 GB of RAM MEMORY? 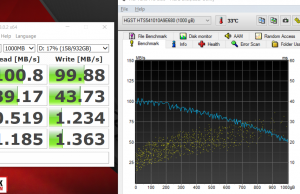 And is the SSD stick a PCIE or M.2? Yes, you can replace the HDD with an SSD. 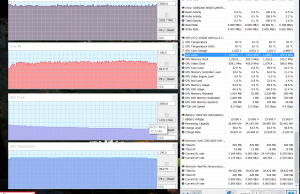 Yes, it supports up to 32 GB of RAM. 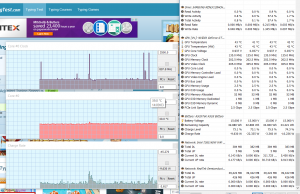 The M.2 Slot only supports SATA speeds, if I’m not mistaken. NVMe drives are not compatible, but I’m not 100% sure whether PCIe drives work or not. The test version came with a SATA stick, so PCIe sticks are probably not supported. I’d like to attach 2 external monitors. I might be wrong, but if I remember correctly there’s only an USB 3.1 5 Gbps port on this laptop and now a Thunderbolt 3 port, in which case you won’t be able to output video of it. Might be wrong, please double check, it’s been a while since I reviewed this. magnificent review, would you mind to review new asus ROG G501VW skylake with 4k screen please ? Hi there. I just got myself one. How in the world do you get to fit this notebook into the backpack it came with? You’d think they’d make it match in size but I’m having trouble packing the laptop in. I’m afraid I might wreck the bag. I just purchased one of these. Before I purchased, I asked the vendor if it was the metal version, or the plastic version. It took them about a week to get back to me, and they said it was the middle one. After taking possession of the unit, I am not sure which I ended up with, how can I tell if it is the middle one or the plastic one? Is it a different color? The “metal” version has aluminum on the lid cover and plastic is used for the rest of the case (main body, bezel, etc). The plastic one is entirely made out of the plastic and looks like the one tested here. Hey guys can this asus g552vw dh71 16 gb ram, 2 gb graphics laptop run watch dogs , wicher 3 , gta v smoothly? Hi! Andrei did you notice some high pitched sound coming out while the computer is running? The sound i have is pretty low. but still it is there. Thanks for a detailed review….. I just have one question.. 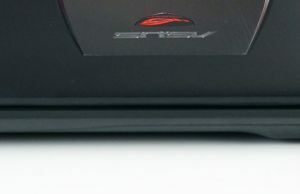 I want to buy Asus ROG GL552VW-CN426T model… However I’m not sure if this model has a metallic lid or not… Since you mentioned to go with a metallic one.. Please reply! Can i later upgrade the gtx version of my gl552vw? 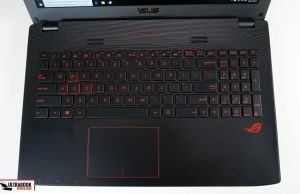 Can someone explain to me what the differences are between the Asus ROG GL552VW-CN470T and the ASUS ROG GL552VW-DH74? They look the same to me, with the CN470T available in Europe and the DH74 in the US. Asus have a lot of confusing code names, I think that’s one of those examples. I want to get a gaming laptop arround this price. 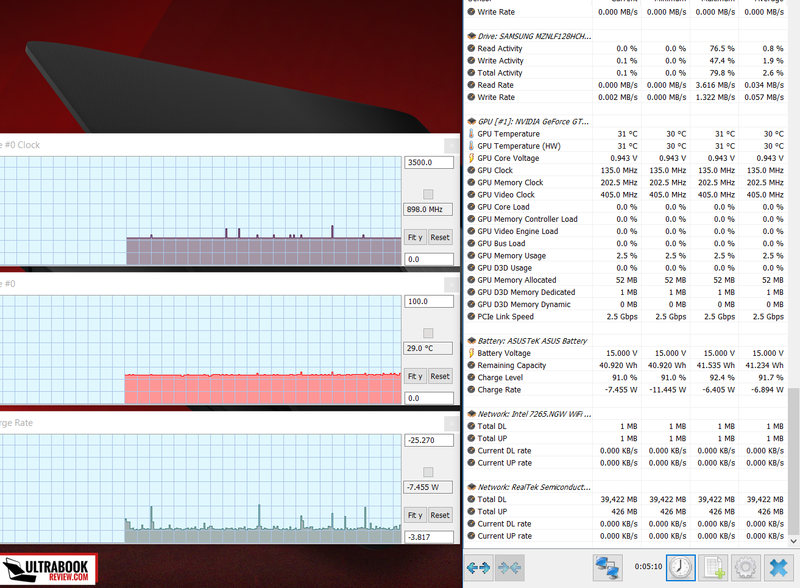 Having a hybrid disk (SSD + HDD) is a must. I was looking at this model and also the HP Pavilion Gaming 15-ak003ns. Do you know the second one? If you do, could you tell me the main differences? I’ve found the HP model a bit cheaper despite being the plastic-cover Asus model. I would also apreciate if you could guide me to other similar models that you like more than these two. Guys, does anyone know if there’s any num lock LED? Because I don’t see one on my 552VW, so I never know current numeric pad mode until I try it – that’s terrible and I feel like I don’t see something obvious. 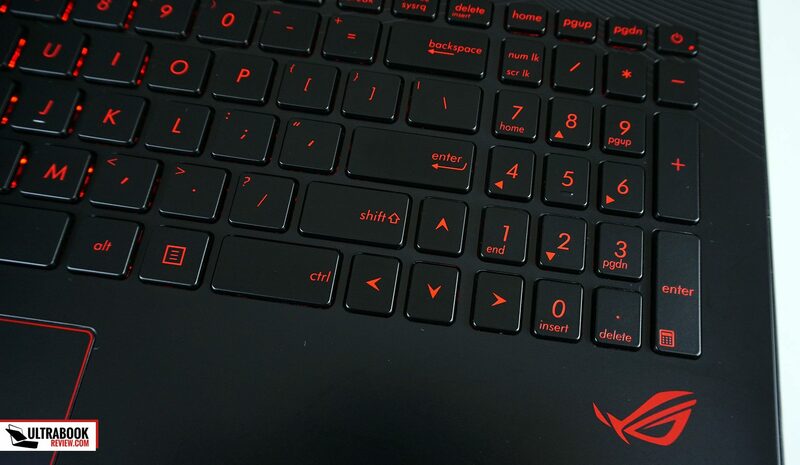 The num-lock LED is on the user side of the laptop. So the LED position is visible even when the laptop is closed. 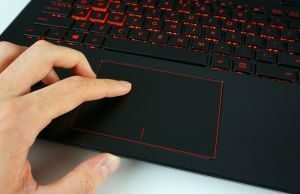 It is near the left lower corner of the touchpad. Hey will you please sent me an image of the metallic version and the plastic version of rog gl552 vw.. 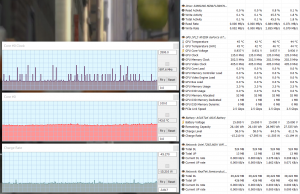 Does the pefomance get effected if i add an ssd and ram on the version which doesnot have an ssd and only 8gb of ram..
Hello, may you tell me the exactly size of the ssd screw? I am planning to buy this laptop 552 vw 430t .. no shopkeeper knows wether its plastic or metallic but they are saying its grey in colour .. wat should i do? 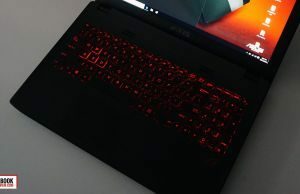 Hey I loved the review.I want to buy this laptop but I am seriously confused between this(the metallic version),Lenovo y700 and Dell 7559.All of them have almost the same configuration and its so tough to pick one.Which one should I buy? Please help me,I would really appreciate your help. I’d probably go with the Dell 7559 out of these three, seems to have the best reviews and I like how it looks and feels. You might want to read more in depth reviews and search the forums for potential problems though, I haven’t properly tested either the Lenovo or the Dell, so Can’t say much about their hidden flaws. Who saw the 4k screen model ? I saw a one with that screen but i can,t see a model like that , I exactly wanna do some 3D modeling and the screen color gamut benchs are important either . I even don’t know to choose this guy or a v15 nitro with 15.6 4k screen with replaced hdd and ssd , Acer made some changes to bios that now it can support NVMe SSD , I’m really looking for a nice one up to 1700$ price area , that Asus with 4k screen seemed good but i don’t whyat is that . 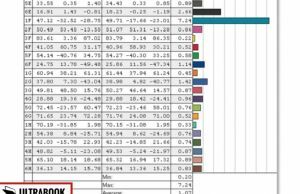 Could you make your monitor Spyder4 calibration profile available for download for everyone? I don’t have it for this laptop, unfortunately. I do provide them for the newer reviews, but I didn’t use to save it at that time. Sry. I bought a ROG (i7, 8g ram, 1 tera hdd 7200rpm, gtx 950m 4m) and I am not sure if I should keep this one or change it for a hp pavilion 15-bc001nq (fullhd, i7, 8g ram, 1 tera hdd 7200 rpm + 128g ssd m2, gtx960m 4g). Main differences would be graphics and storage. 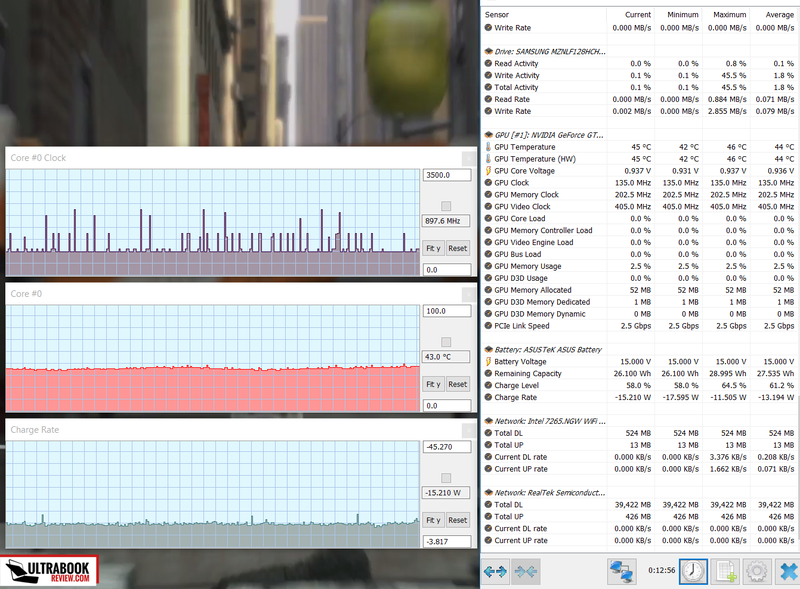 Specs wise, I’d get the HP, that SSD makes a lot of a difference and the graphics are significantly faster as well. However, make sure to read some reviews on both models to know what to expect and to be aware of potential flaws, there’s more about a laptop than just specs. I bought this laptop few weeks ago, but the GTX 960 4G and aluminium screen back version. It’s my first gaming/Hevy work laptop, I had a MB Pro 13 Mid 2012 before this one and the change was “WOOOOOOOOOOOOOW” even better than my actual tower. But, the battery life was really poor and I have to go with the charger to any place. Asus may have to created a small adapter or a extended battery pack. On the weight an height apart I think “I need a powerful laptop for editing with a great screen but can still mobile”. I pay for it and I love it, this is the sacrifice that we made every time we choose one product over another, If someone know about a 15″, i7, GTX 960 4g, 128ssd+1tb hdd and a better battery life thats was cheapest than this one (keeping the same quality), please say it!!!. Thanks for the nice review brb, I will make it on Spanish for YT soon. How’s the speaker!! Planning to buy it!!!! I want to upgrade ssd on my 552vw-dh71 tomorrow.. Does it work with samsung m.2 850 evo sata 3? 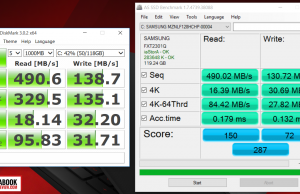 If I want that same SSD (Samsung 850 EVO), how can I know the maximal compatible storage? Will it work with a 500 GB SSD? It should work with a compatible drive regardless of its storage capacity. 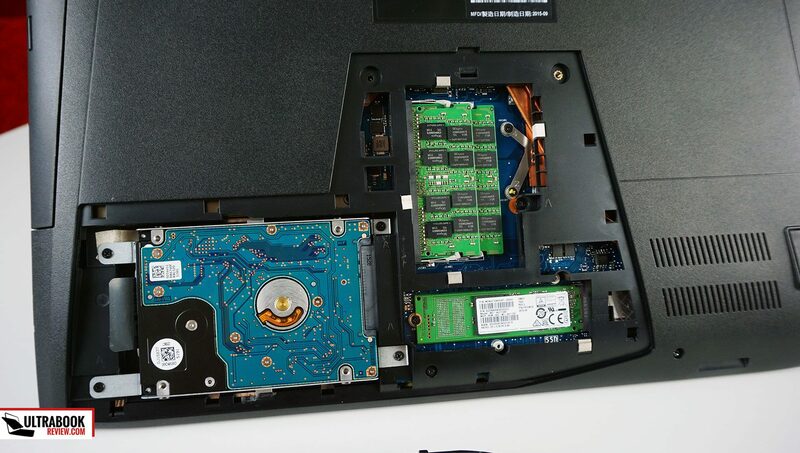 Will this laptop accept an SSd in the M.2 NVME PCI format, or does it only use SATA ssd? It uses a B+M key 80 mm SSD, which means it should accept PCIe sticks as well, but it's been a long while since I reviewed it and I can't 100% back this affirmation. what is the right model with metal lid(ASUS G552VW-CN287D)? Yes, that's one of them. 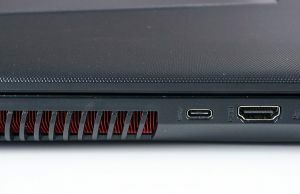 There are multiple model-names for this laptop and from what I can tell, all the available ones come with a metallic lid now. The GL552VW is overall a good laptop, I'm not familiar with the prices in your country, but it looks like a fair deal. 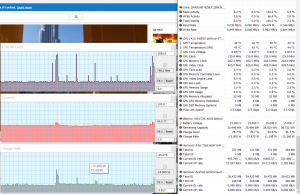 However, that core i5 processors lacks HyperTHreading and it would be probably better to get a Core i7-6700HQ configuration if possible, which runs at higher clock speeds and includes HT, as these should prove useful in that 3D rendering software you mention. 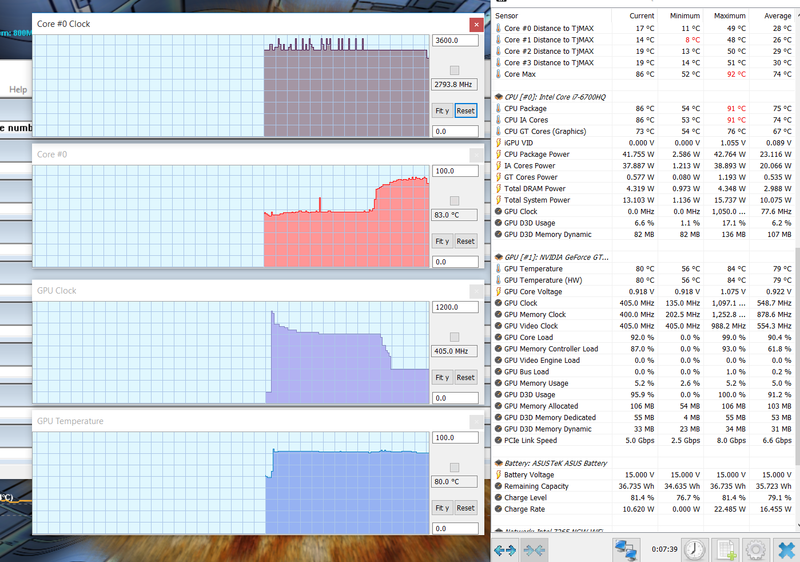 You'll also need to add more RAM to that configuration. 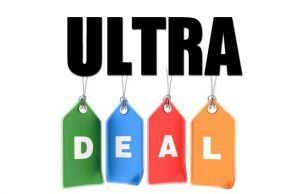 I have ordered today ASUS ROG GL702VT 16gbRAM/i7-6700HQ/GTX970/1TB+256ssd for an extra 300 e for sure is worth it . Very hood laptop i use it for work whi h isnt graphics intensive but i do play world of warcraft and the fps stays around 90fps and smooth graphics in populated areas. Excellent choose! 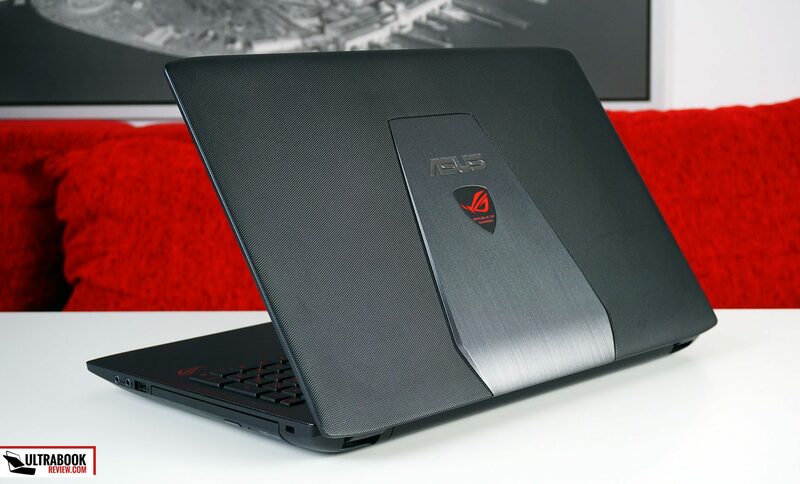 Does the ASUS ROG GL552VW CN430T model come with a metallic lid or a plastic one? I heard the metallic version is not really metallic and the monitor frame is just as weak as the plastic version, is this information true? cause i cannot find any credible source or video on the metallic version. If it really is metallic and not a surface brushed/coated plastic. that's a plastic frame with a sheet of aluminum on top. It's still rather thin and there's still some flex in it, but I'd be alright with it in daily use. Hello I think its sturdy enough I mean it's an electronic. I wouldn't throw it across the room.I keep mine in a padded laptop case when traveling and I sit it on a table when in use. I drive a tractor trailer and the roads across the country aren't friendly at all. But with a bit of protection my laptop still looks,feel and operates like it did out of the box.